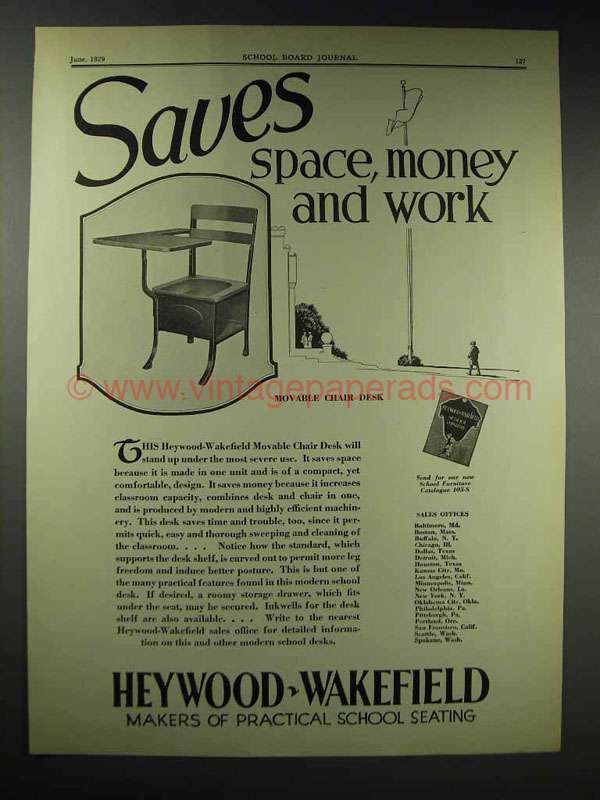 This is a 1929 ad for a Heywood-Wakefield Movable Chair Desk! The size of the ad is approximately 10x13.5inches. The caption for this ad is 'Saves space, money and work' The ad is in good overall condition, with some light wear. This vintage ad would look great framed and displayed! Add it to your collecction today! 1939 Roneo Steel Office Furniture Ad - Fire Brigade? 1929 Theodor Kundtz School Furniture Ad - N.E.A.